This one-level home over a full basement is designed with two families in mind. 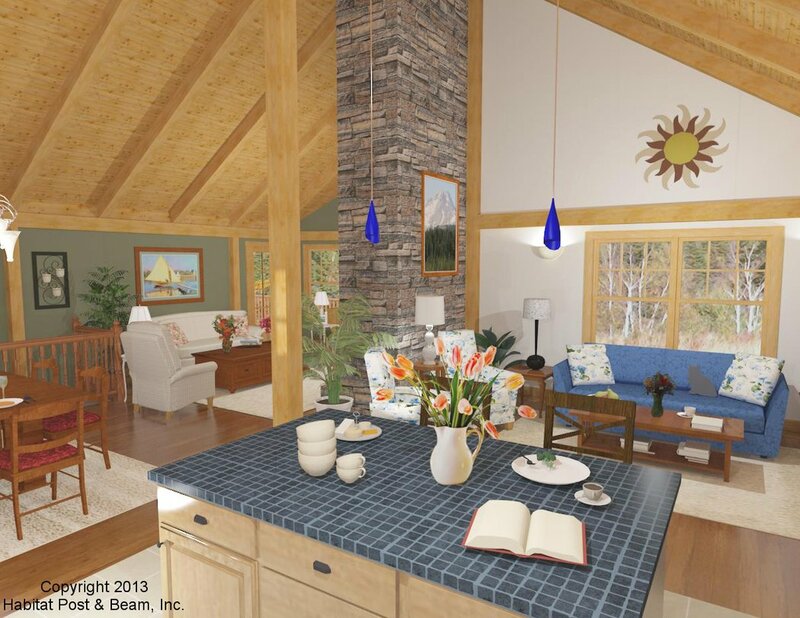 This house design would work for a vacation home to share with family and friends, or for retirement living with a separate space for family and caregivers. The main level left wing is about 1,160 sq. ft. of living space, with a large master bedroom suite, living, dining, den and kitchen. A laundry room and entry connector joins this section to a three-car garage. 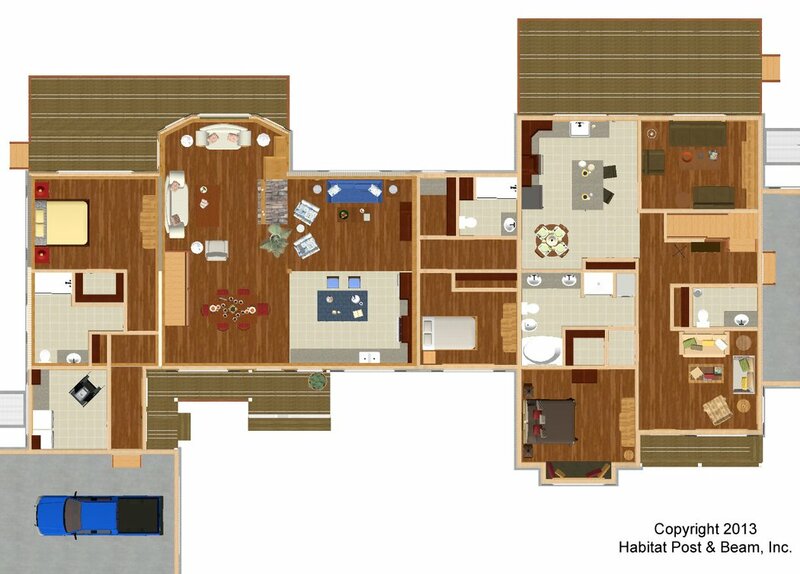 Between the left and right wings a hallway with a guest room, pantry, and bath leads into the main section of the right wing at about 1,250 sq. ft. 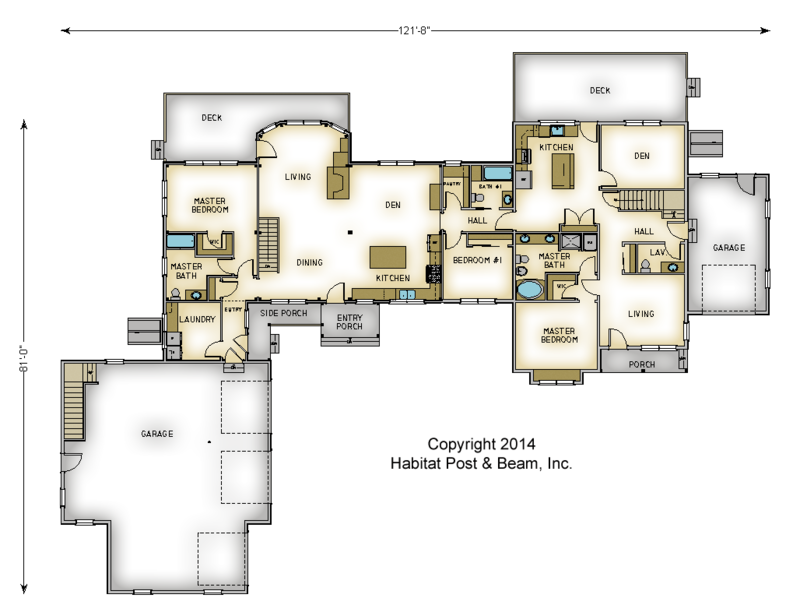 This side has another master bedroom suite, kitchen, den, living room, and bath attached to its own one-car garage. Upstairs attic space is for storage. Package Price: $282,500 as specified below (from $248,000 to $324,000 depending on framing options). The standard price includes our Full Exposure Wall System, Plaster and Beam or Beamed Mid-Floor System (same package price) and our Beamed Roof System. 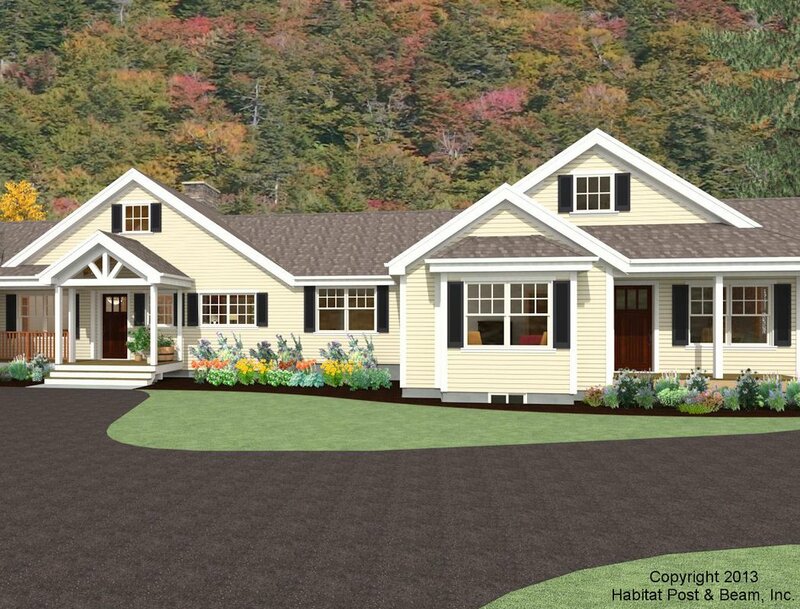 The entry porches are our Beamed Porch System. The garage, laundry and entry are not included in the above pricing.